Per the great U.S. Supreme Court Chief Justice John Marshall, the federal courts and judges are committing treason to the Constitution by not taking jurisdiction and getting to the merits in the various cases before them regarding the Article II eligibility clause question for Obama. The Judges in the various Obama Article II Constitutional eligibility cases should simply read the words of the great U.S. Supreme Court Chief Justice Marshall from the past and take jurisdiction of the constitutional question of the Article II eligibility clause in the Constitution and proceed to a fact finding hearing and trial on the merits to see if Obama is Constitutionally eligible or not. 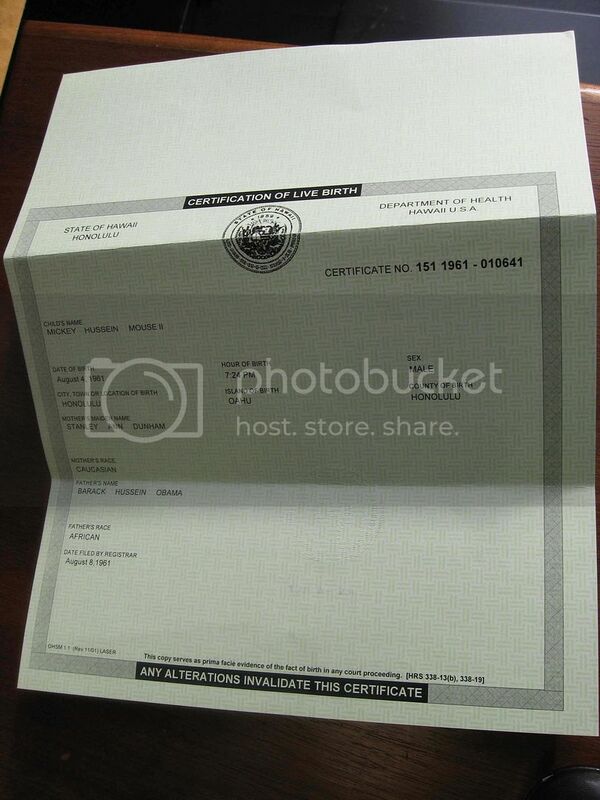 I say Obama is NOT eligible. Obama was born a British Subject. Obama's father was not a U.S. citizen nor was he even an immigrant to the USA. The DNC covered up for Obama. Congress failed in their duty to vet Obama's eligibility. Congress said this is a legal matter for the courts. We need the federal courts to take the cases, get to the merits, and get a U.S. Supreme Court ruling to settle this. 17 Oct 2009 Update: Full page ad on this subject will run in the Monday, 19 Oct 2009, issue of the Washington Times National Weekly edition, page 15. What is the legal remedy against a Judge who refuses to do his job? I think there must be one. Who is John Marshall??? Anyone remember him??? Do you, Simandle? Carter? All other Federal Judges??? This is a most critical opinion from Justice Marshall. I certainly do concur. Could the judge be waiting for the outcome of the Carter case? If that case is dismissed, will the judge use the reasons cited in that decision to dismiss yours? That is why it is critical that your judge must rule on your case very soon before Carter has chance to render his decision. Great job Mario and Charles....I think your case is strong and that you all have the best chance of succeeding to the next step. I think the Judge in your case is taking his time for a good reason...these are very serious charges against the entire government and the DNC who are complicit in putting our country in grave danger...in the end I believe the people will prevail and it will be thanks to the many Patriots like you and Charles!! You state: “This argument is like ‘shooting fish in a barrel.’"
1. What are you using as a shooting instrument? A sling shot? bow and arrow? Laser- guided automatic weapon? 2. What is the color of the fish? Do they camouflage themselves? 3. How many fish are in the barrel? one? millions? 4. What is the size of the fish? microscopic? huge? 5. How fast are the fish swimming? 6. How is the shooter’s vision? If he wears glasses, does he have them when shooting? 7. Is there any water in the barrel so the fish are swimming or are they all just lying there piled up on each other without any or much movement? 8. How big is the barrel? The size would, of course, impact on how many fish are in there and how fast the fish can swim. 9. How much water is in the barrel? This would impact how many fish are in the barrel and how fast they can swim. 10. Is the barrel itself stationary or is it moving? If it is moving, a fast and what is the nature of its movement? Predictable or unpredictable? 11. At what angle is the barrel placed? Can the shooter get a clear, direct shot or will the shooter be shooting at an angle? 12. Will the shooter be shooting directly into the water or will he be shooting into the sides of the barrel? If shooting into the sides, is the barrel clear or opaque? If opaque, the shooter would be shooting into the barrel with the hopes of hitting the fish. 13. What are the lighting conditions? Are we shooting in the dark or in the light? 14. Will the shooter really try to shoot at and hit the fish or has someone offered the shooter something of greater value to be received if the shooter misses the fish? 15. Can the shooter freely shoot at the fish or is the shooter told that if the shooter hits any of them the shoot will suffer some serious consequences? 16. Is the shooter allowed to shoot at all the fish or is the shooter prohibited from shooting some of them because they are of a certain color? 17. Will the shooter be giving credit if the shooter hits and kills a fish or will the shooter not be given such credit because the shooter also shoots bears when he is not shooting fish? 18. Assuming that the fish must be dead to get any points, have we agreed on what a dead fish is? Does it count for anything if the shooter only shoots the fish and it does not die but it is almost dead? How long does the shooter have to wait before the fish dies? Are we going to count the fish to be dead even if it is not dead simply because we like the shooter? Who will pronounce the fish dead? What proof will we require to make sure the fish is dead? Are we just going to take the shooter’s word for it or are we going to want to see some acceptable evidence that the fish is dead? What if the fish dies because of other unrelated causes, does the shooter get any credit for the dead fish any way? 19. Who will judge the shooter's activity of shooting at the fish? Do we have judges that will simply count up how many fish the shooter shot or will the judges invoke a rule providing that the fish kill should be disqualified because (well the judges really will not tell us why)? So as you see, Dr. Conspiracy, things are not as easy as they appear at first blush. I welcome other questions that may be raised by our fish shoot. You should also have asked if the "shooter" were wearing one of those silly farmer's hats that the North Carolinian fish-hunters think is formal garb since that could have affected his aim as it might be constricting blood flow to the brain. ... or maybe that should be hee-haw-larious. This should make you proud. Read the last sentence as it references your research. I respectfully ask you to please drop out of our case immediately..
You were unprepared for court again.. It now shows that this unprofessional behavior is a pattern. You are demeaning my attorney (who represents more than 40 clients) trying to embarrass her in front of Judge Carter. According to your WND interview and your definition of natural born citizen, you are espousing untruths not backed up by any legal opinions or case law – you will confuse the jury with your unsupported opinion. 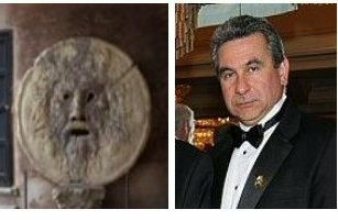 Leo Donofrio and Mario Apuzzo have the most complete research on the term natural born citizen, and none of the research points to having just one citizen parent out of the country and you are confusing native born with natural born. To be a Natural Born Citizen of the U.S. and meet the test of the Constitution put in there by John Jay and George Washington one must be born of two citizen parents and born in the country per the common law established by our U.S. Supreme Court as exemplified in the Venus decision and the Minor vs Happersett decision and as codified in Vattel's, The Law of Nations and Natural Law. See this excellent essay by our own Attorney Mario Apuzzo. I think you miss the post of Marshall -- he's not saying a Judge should take jurisdiction because the case is important. He saying that Court's can't avoid taking jurisdiction if the case falls within their jurisdiction. The judges in all these "birther" case are not refusing to take jurisdiction because they have it and don't want it. The are not taking it because they don't have it -- which falls within the first part of Marshall comments. -- Judges can't claim jurisdiction because they want to. -- Judges can't refuse jurisdiction because they want to. 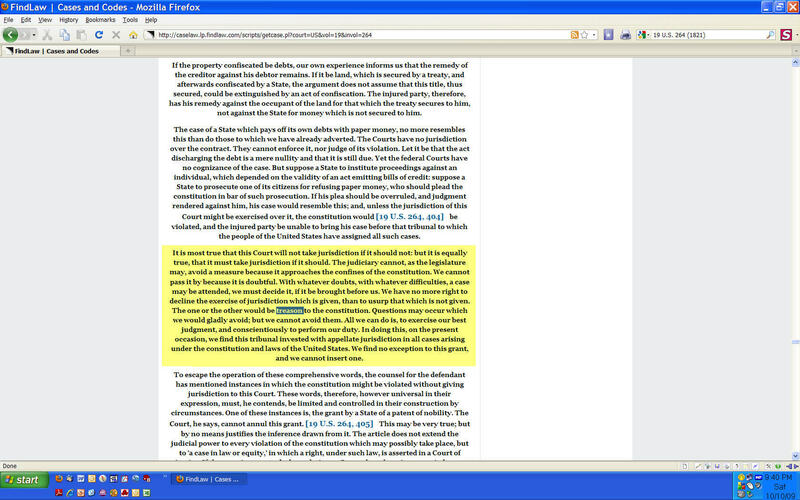 In all the birther cases Judges have said they don't have jurisdiction because the matter is left to the Congress. For a Judge to usurp the Constitution and claim jurisdiction over what the Constitution clearly gives to the Congress would be the height of judicial activism. I suggest you more closely read the Kerchner et al pleadings - and read them for understanding since you seem to have missed valid points. The Kerchner action is nothing like the other cases you m ay have heard about - and you don't seem to realize that. Your position that the Congress is the determiner of legal questions and is the interpreter of Constitutional intent and meaning is absurd. That duty was left to the federal courts to decide. Marshall is saying on Constitutional questions the court does have jurisdiction and it must take it. Standing is not even mentioned in the Constitution. Standing is an invention of the courts fairly recently and is now being used to avoid taking tough cases and not listen to the pleadings of the people to support and defend the Constitution. Do not make the same mistake in arguing jurisdiction and standing that people make in reading the Article II eligibility clauses. You can not read those things with current progressive viewpoints. They must be read in the light of the founders and framers intent. And the federal court clearly had the role of guarding and protection the constitution from usurpation by actions in the other two branches. Unfortunately the courts at times have ignored the constitution too, failing their designed role. And it appears now they are doing it again by hiding behind modern unconstitutional standing arguments to not even take a question on a constitutional question of great importance to our nation and our inalienable rights and liberties. We the People CREATED this government. We are the sovereigns and we WILL be heard. This case is not about some government policy. This case is about a written eligibility clause in the Constitution for Pres and CINC. Congress failed in its role to vet Obama per the eligibility requirements of the Constitution. Now it is up to the courts to take the cases brought by the People, since We the People are the sovereigns in our Constitutional Republic, not the Congress. In addition people who wrote to the Congress on this matter were told by their Reps and Senators this is a matter for the courts. We the People are thus in a Catch 22 with Obama and his Obot tacticians. Thus the federal courts must do their duty as Congress has passed the buck and said to the people who wrote to them about this, the courts must resolve it, and Chief Justice John Marshall has said so too, and take the cases and decide it on the merits. We the People are sick and tired of our elected leaders passing the buck on this and their obfuscations and CYA activities to cover up their betrayal of the oath they took to support and defend the Constitution. Section 2. The judicial power shall extend to ALL cases, in law and equity, ARISING UNDER THIS CONSTITUTION, the laws of the United States, and treaties made, or which shall be made, under their authority;--to all cases affecting ambassadors, other public ministers and consuls;--to all cases of admiralty and maritime jurisdiction;--to controversies to which the United States shall be a party;--to controversies between two or more states;--between a state and citizens of another state;--between CITIZENS of different states;--between CITIZENS of the same state claiming lands under grants of different states, and between a state, or the CITIZENS thereof, and foreign states, CITIZENS or SUBJECTS. I think it is very clear in Charles' petition that the issue of foreign CITIZENSHIP is one of the subject matters! "The expression 'THE RIGHTS OF CITIZENSHIP SHALL DESCEND' cannot refer to the time of the death of the father, because that is hardly the time when they do descend. The phrase is borrowed from the law of property. The descent of property comes only after the death of the ancestor. The transmission of right of citizenship is not at the death of the ancestor, but AT THE BIRTH OF THE CHILD, and it seems to us more natural to infer that the conditions of the descent contained in the limiting proviso, so far as the father is concerned, MUST BE PERFECT AND HAVE BEEN PERFORMED AT THAT TIME." So, you see, the Supreme Court has already taken cognizance of the subject matter of THE RIGHTS OF CITIZENSHIP AT BIRTH. Barack H. Obama had RIGHTS OF CITIZENSHIP to the United Kingdom AT BIRTH -- and factcheck.org agrees -- so, what are the Judges waiting for? So, after further review, Charles' call on the field stands! 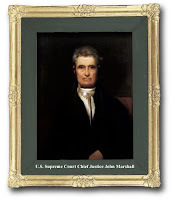 'The Federal Courts are Committing Treason to the Constitution per Chief Justice John Marshall. It might be fruitful to demand clarification of this statement from Judge Land. Bots over at Right Side of Life are really in a high pitched frenzy this week. I am wondering if court cases are getting closer to getting heard. I hope so. Wish I could do more to help save the USA, but alas I'm living out of the country at the moment so all I can do is go online and spread the word. Your case is excellent. God speed. Your Posts seems correct. The Court do indeed have the juristication to hear any case involving a contraversy of Obama's eligibility to serve. Since Obama's Eligiblity to serve is inherently and directly tied to the constititional provision of Article II Section I, the courts do indeed have juristication to hear it. Even if the courts are somehow right that only Congress can intervene they still can have juristication. This is because Congress failed in its Sworn Duty to protect the US Constitution and to insure Obama was eligible to serve as POTUS. From my understanding, Congress did take the appropriate measures or steps to do this. And since Congress failed and is unwilling to fullfill it's constitutional duty, The Juidiciary must act to insure the appropriate Checks and Balances. Even if the Judciary can't do that, the duty then falls under the 9th Admendment to "WE The People." "We the People" have the right insure Obama is eligible to serve as POTUS and therefore we have standing. Further, with such standing, "WE The People" under the 1st Admendent have the Right to Petition Our Government for Greviouses. AP (Associated Press) knows Obama was born is Kenya. Good new article. We the People Possess Supreme Dominion at The Post n Email news blog. Law versus equity - or some combination of the two in decision-making - is what confuses most. When it comes to election laws, here in Ohio, they are mandatory and require strict compliance. I would think the same applies, even more so, when it pertains to President of the United States under the requisite Constitutional requirements to be a valid candidate. Since January 1, 2001, here in Brown County, Ohio, we have had a "sheriff" that never was qualified to be a valid candidate for the office under the Ohio Revised Code. Nevertheless, said "sheriff" has almost completed a year into his third term, legally sitting as a "civilian sheriff," but acting as a legal sheriff. So, how could this happen? It's a rather long story starting with verbal objections made by many in 2000, that he was not qualified, but the proper protocol was not followed to stop his candidacy. After that, this "sheriff" was indicted for falsifying his election documentation, but found "not guilty" of that charge with "friends" on the jury. The criminal court record was sealed at his request. His partisan party operatives then had one of their elected representatives engineer the passage of an amendment attached to an emergency bill that reduced the qualifications necessary to be a valid candidate in the 2004 election. He failed to qualify however, in 2004, and again in 2008, because his peace officer certificate had legally expired under the Ohio Administrative Code provisions. There is now pending before the Ohio 12th District Court of Appeals a quo warranto petition to oust this three-term usurper from the office. The facts are clear, set in the concrete of history, and the law is black and settled for decades. The "legal" outcome is as clear as can be, but! This ongoing illegal situation is a perfect example on our local level of what is happening on the national level with Obama's lack of qualifications. Our constitutions and laws are being trumped by politics and equity issues where such factors should not be involved at all. When our laws take second-seat to politics, we have nothing less than "mob rule" in our country. Whoever has the bigger mob, they are the ones who make the laws up as they go along, to everyone's detriment eventually. Anyone sealing cases, records, etc., has something to hide. In our local case the criminal trial record should never have been sealed, for the public's need and right to know their public officials are legitimate, completely outweighs any privacy interests of a public official. The same applies to Obama's eligibility to be a candidate. It's the Courts that have the duty to look into these matters, and rule strictly according to law, not politics or equity.